In today's fast-paced life all individuals are busy with their professional or social commitments and often ignore themselves which takes a toll on their health. This has now lead to various kinds of illness. Some illness are life style related diseases like diabetes, hypertension, obesity; while others are critical illness like cancer, tumor, liver & kidney related disorders. A common health condition plaguing modern day life is related to mental health and is predominant in metros, tier 1 cities like – depression, anxiety, stress etc. More than 95% of world's population is unhealthy. Though we put constant effort to be cured and spend a huge capital, we either recover partially or witness a lapse. The entire process involves investment of time and money. There is lot of awareness on health nowadays with respect to the diet, excercise, yoga, meditation etc. and a lot of people follow such routine. Still why some people remain unhealthy and consequently lead an unhappy life? The answer lies within the fact that every individual is directly or indirectly related to the Cosmic Energy of this Universe. 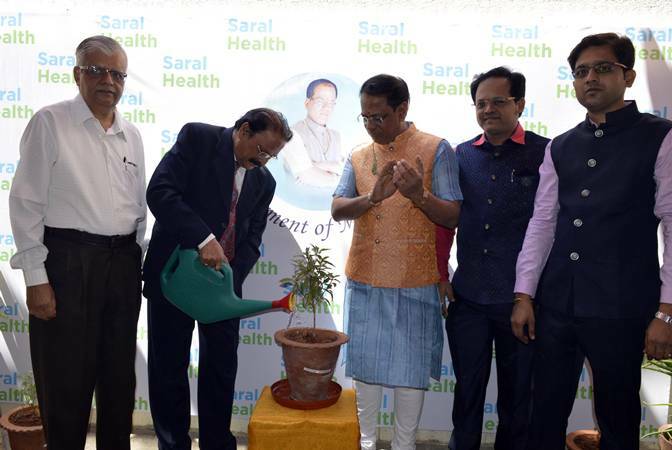 Here comes the concept of Saral Health.